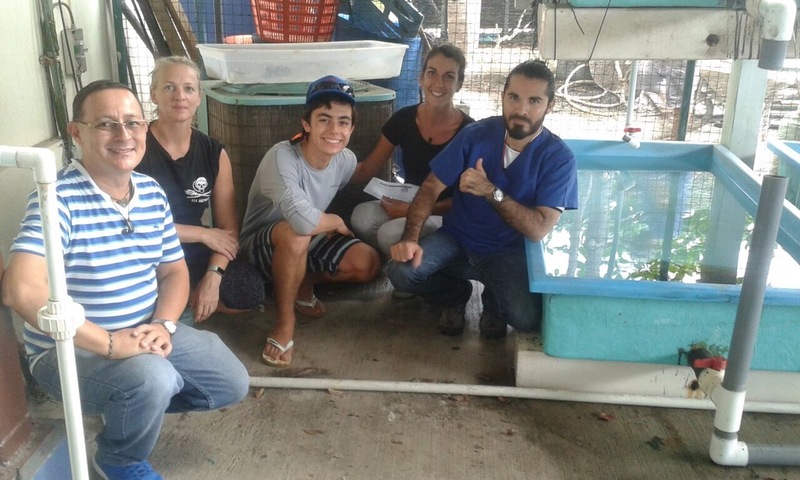 Dr Rubin and the Equipo Tora Carey. On June 13, Marlon, a key member of the ETC monitoring team, found a Hawksbill sea turtle (53 cm in length) while diving. 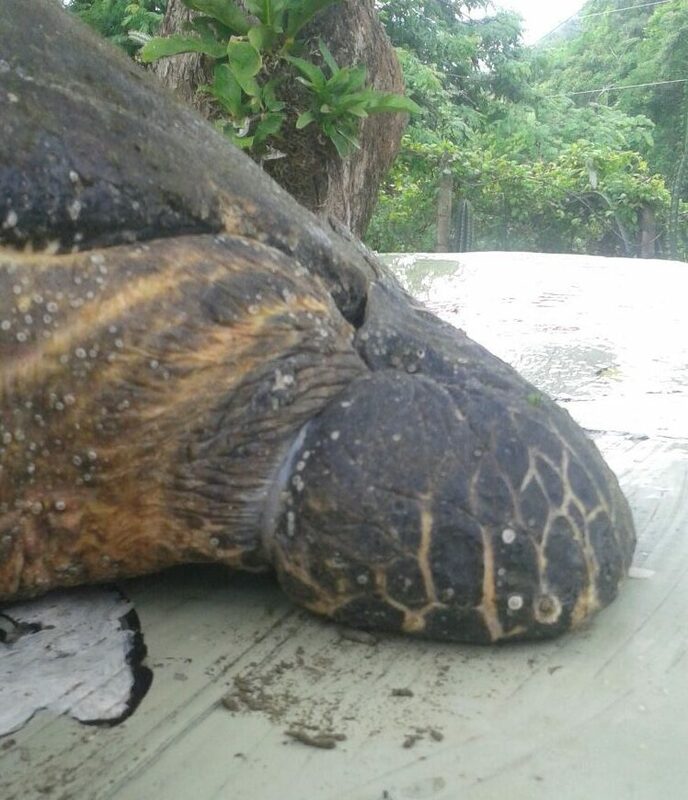 The Hawksbill had been found a month prior with a fishing line constricting its left flipper. This prevented the sea turtle from moving properly. In addition, there was also a fishing line coming from its mouth. This indicated the presence of a hook, possibly in the throat. Marlon was able to cut out the line that was wrapped around the flipper. However, he could not take out the hook. In a situation like this, it is best to take the turtle to a marine rescue center for a veterinary check-up. Marlon was not able to take the turtle out of the water on that occasion. Thankfully, on June 13 he spotted the Hawksbill again in the water and prepared to transfer the sea turtle to a rescue center. 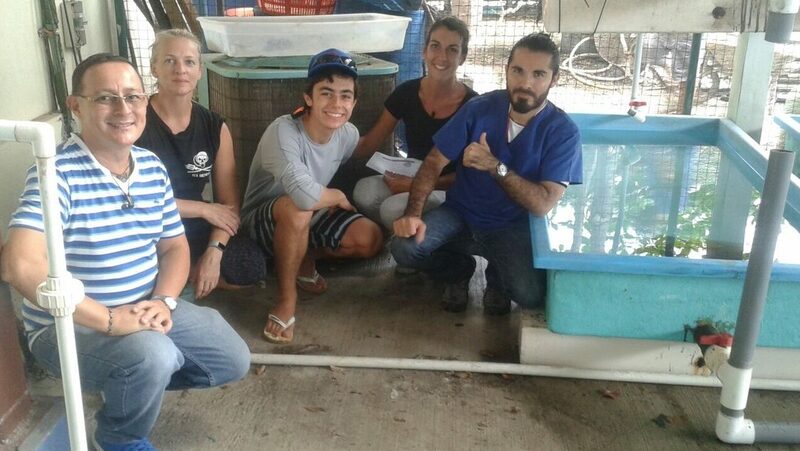 In 45 minutes, an expedition was organized to transport the sea turtle to the Parque Marino del Pacifico, Puntarenas. 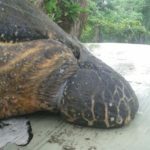 The Hawksbill turtle, now dubbed “Pirricho” after her rescuer’s nickname, seemed sluggish – the line had clearly done some damage. 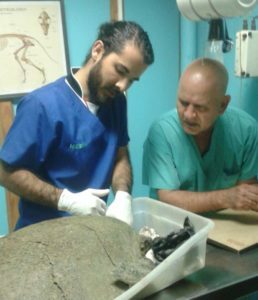 Thanks to the timely collaboration of Equipo Tora Carey and Area de Conservacion de Guanacaste (ACG), by the time volunteers arrived in Puntarenas at 11:30 am, Dr. Esteban Rubin was prepared to examine the turtle. 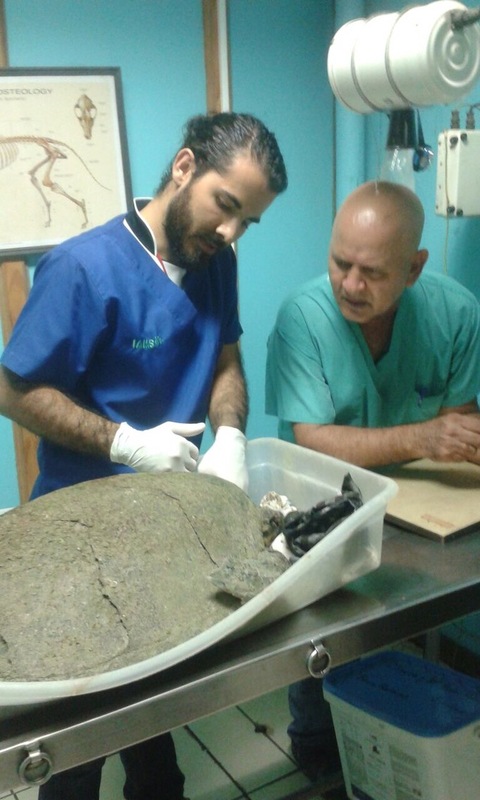 Dr. Rubin took an X-ray of the turtle’s head and throat. However, the hook wasn’t visible in the X-ray of her head – indicating that she may have swallowed it and it might be somewhere in her digestive system. This became an immediate concern. 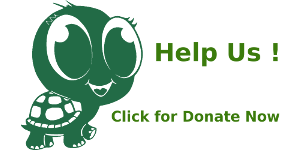 For the time being, the important thing is that she is alive, which means her organs are still intact. 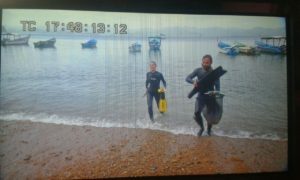 Dr. Rubin examined the left flipper as well. Unfortunately, her left flipper was inflamed from the constriction of the line from a month ago, allowing bacteria to develop an infection in the bone. Luckily, there were no fractures. Hopefully, after an adequate treatment of vitamins and antibiotics, she will be able to recover her full mobility. The hook is still missing and is still a concern. The hook could prove dangerous if it damaged an internal organ. Dr. Rubin prescribed a dose of laxatives to expedite the hook’s digestion – hopefully it will pass through quickly and safely. Animals of Channel 8 (France) visit ETC! The Equipo Tora Carey and The Animals of Channel 8 on site! 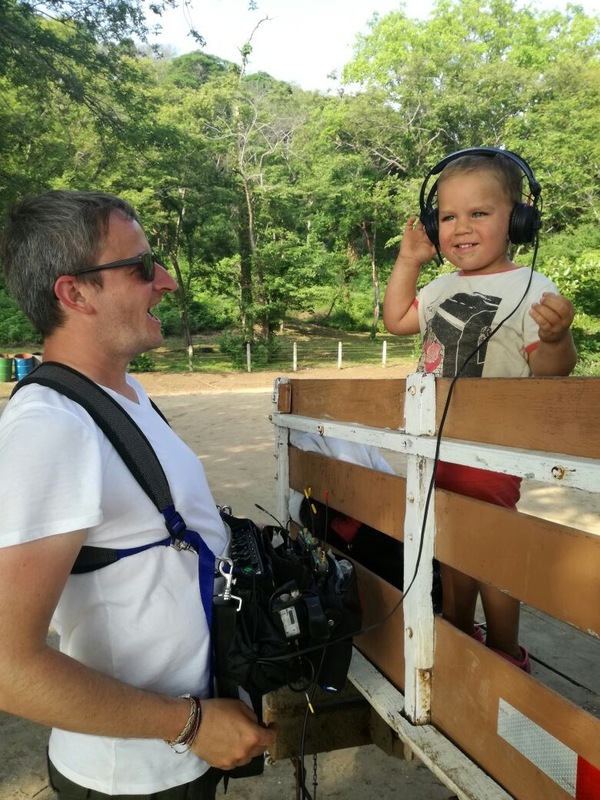 Over the last two days, Equipo Tora Carey (ETC) hosted a French TV program concerning the relation between wildlife and human beings – especially children. The name of this TV show is “Les animaux de la 8” (The Animals of Channel 8). We started Tuesday, May 30th with an interview about the scientific work of ETC with the rays of Bahia Cuajiniquil and Bahia Salinas, and also the environmental connection and knowledge that the kids of “Los Protectores del Medio Ambiente” club have acquired. Over a homemade lunch at Kembly’s, we enjoyed a pleasant exchange between community members of el Jobo and the TV crew. 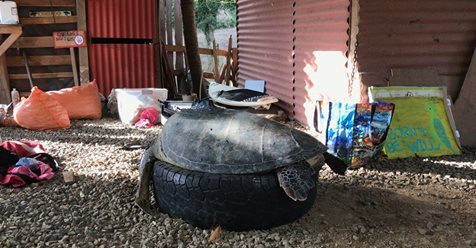 After lunch we went to Rajada Beach to meet The Turtle Man, Randall, who explained everything about the amazing job ETC and its research assistants are doing every night! This includes tagging turtles, nest protection, and monitoring and protecting the nest hatching. The surprise of the TV crew was apparent as they began to understand the passion of the local people to learn more and to keep protecting these animals. We ended the day by counting native parrot species (loras in Spanish) together and discussing why scientific protocols are important. They interviewed ETC volunteer Iris to learn about her experience as a volunteer and how it has changed her. We finished this amazing experience Wednesday morning with a boat trip to Isla Muñeca with the research assistants Randall and Marlon. We were not able to see any turtles at this feeding site because of the bad weather conditions, but we had the opportunity to show them the diversity of fish we have in our waters, and to explain how we carry out the data collection with a live turtle. This helped the TV Crew understand the process and also the importance of our work. This amazing experience was (rewarding and tiring) but it showed us how everybody can do their part in wildlife conservation and how working together as a team can make those experiences easier and more efficient ! That is the ETC way! TOGETHER we have the POWER to CHANGE things !